The leaves are falling and it’s time for some pearls and leather. Once in a while I love to throw on my husbands black leather jacket. It just feels cozy to wear his. 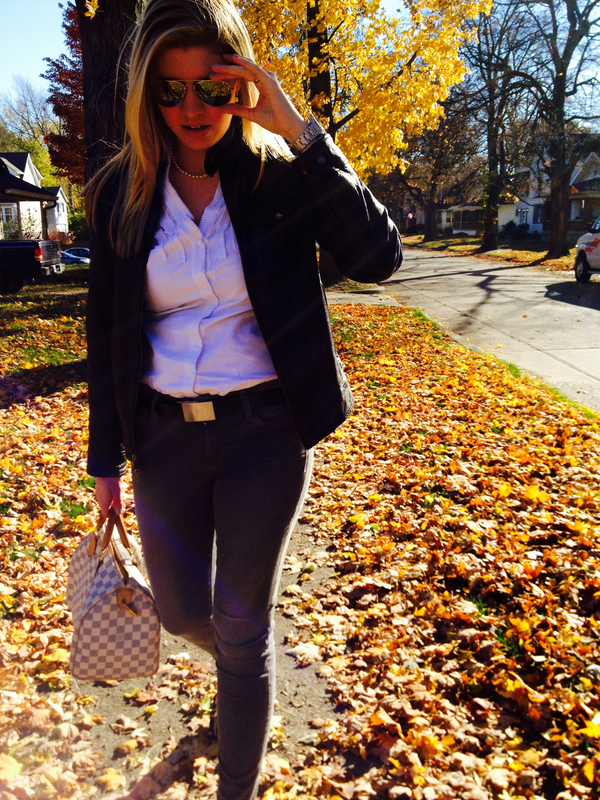 It’s always the perfect finishing touch to a crisp white blouse and jeans on a beautiful fall day. Grey Joe’s Jeans from 14 Districts: 110 West Main Street, Carmel. Love the shoes! Would you mind sharing where you got them? I’ve been looking everywhere and can’t find them.